Alan Boye is a Nebraska native with an affinity for back roads and offbeat historic moments. He is a professor of English at Lyndon State College in Vermont and the author of Tales from the Journey of the Dead: Ten Thousand Years on an American Desert (Nebraska 2006) and Holding Stone Hands: On the Trail of the Cheyenne Exodus, available in a Bison Books edition. 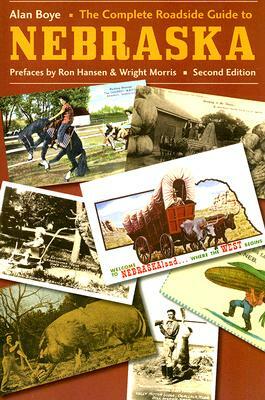 Ron Hansen, a Nebraska native, is the author of Isn't It Romantic? and Hitler's Niece. Wright Morris was a native Nebraskan and the author of Field of Vision and Plains Song, both winners of the National Book Award.